Ethics is an important aspect of virtually any job—even for engineers. Engineers design objects that we use every day, from houses to roadways to bridges to buildings to cars. Safety is of utmost importance. When engineers design flawed items, they can face legal issues as well as get their license suspended or revoked. 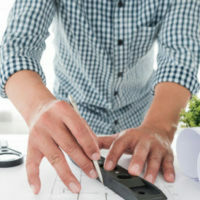 While the American Society of Civil Engineers has a code of ethics by which licensed engineers must abide, many new engineers fail to take ethics seriously. When they are just starting out in their career, they may be pressured to create something unethical to stay employed or be accepted into the engineering community. It is important for engineers to know that the public depends on these buildings to be safe. If an engineer knows that a design may be flawed, they have a duty to fix it and not release the item onto the market until it is safe. Creating dangerous buildings and object is immoral, but it still happens from time to time, which is why more education about ethics in the engineering field is desired. Take, for example, mechanical engineer Roger Boisjoly, who knew about a design flaw in the space shuttle Challenger. He advised delaying the launch until the flaw could be fixed. Management overrode his recommendation. Challenger was launched on January 28, 1986. Within 73 seconds, the shuttle exploded, killing all seven people aboard. This tragedy could have been prevented had management acted in an ethical manner. In a story with a better ending, structural engineer William J. LeMessurier responded to his realization of a possibly disastrous error during the construction of the Citicorp Center, a skyscraper located in New York City. A student had asked him a question about the design of the building, which was four stilts with a 900 sq.ft. structure on top. It was then that LeMessurier realized that he did not account for diagonal winds. Should a severe storm hit, the building would likely collapse. He let the building’s owners know about the error and oversaw the repairs. Had he not been proactive about safety, the building could have soon collapsed, causing injuries or fatalities to those inside. Both stories are shared often in engineering classes to drive home the importance of ethics. Ethics is more important in the engineering field than you may think. There is often a lot of pressure to create innovate designs or adhere to contracts. Because of this, sometimes engineers produce flawed work that can be a danger to the public. When engineers act in an immoral and unethical manner, they can face severe penalties. It is possible for their engineering license to be suspended or revoked. If you are experiencing a disciplinary matter, The Law Offices of David P. Rankin, P.A. can help. He has more than 30 years of experience providing aggressive representation for engineers and other licensed professionals who are facing administrative issues. 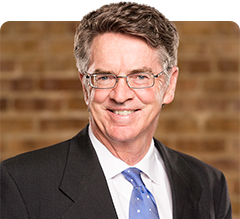 David P. Rankin has represented more than one hundred professional engineers before the Florida Board of Professional Engineers. Call his office at (813) 968-6633 or fill out the online form to learn more.